I didn't really know what to expect with this one but I ended up really loving it. I'm going to try and find a copy of the movie that was (very) loosely based on the first short story. This was the last one in stand alone or non-series books that Agatha published in the 1920s. This decade is full of adventure stories with hints of romance and espionage and really provide some fun reading! This was my first book in the long running Lake Eden/Hannah Swenson series and I enjoyed it. The review will be up tomorrow. 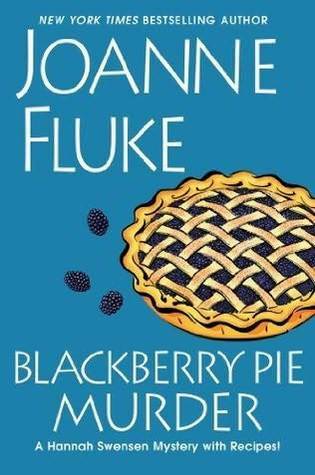 Definitely worth a read if you like cozy mysteries. Also published as The Sittaford Mystery. I'm about a third of the way in and am really enjoying. This is one of hers that I forget about completely so I get to re-discover it every time I reread it. Sigh. The best thing I can say about this one is that I think the cover is pretty. I'm about 40% into it and the only reason I'll probably finish it is because it's a review copy. It's not awful it's just kind of boring. The review should be up Wednesday. J has been working crazy amounts of overtime which means my TV watching has significantly increased. I don't know what it is but when he's not here I end up staying up way later watching TV instead of going to bed at a reasonable hour and than reading to an unreasonable hour. Emma and I have been getting through our tremendous backlog of Criminal Minds lately. We're almost up to Christmas so at some point we'll be caught up! After reading the Tommy and Tuppence I've started reading the Agatha's stand alone books - or books that aren't actually part of a series. 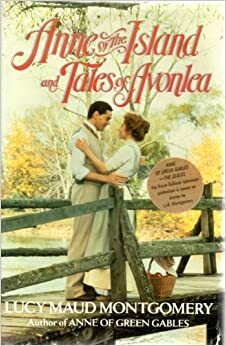 This is my review for the 3 books that were published in the 1920s that aren't part of a series though they do introduce 2 reoccurring characters. These are 3 of my absolute favorites so it was a pleasure to reread them especially after the murky Postern of Fate. This Agatha's first stand alone book and probably one of her least known books. 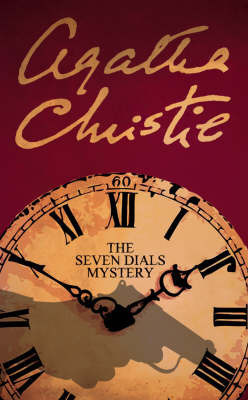 It's too bad because this book is really classic Christie. There's a smart pretty girl who wants adventure, is quick on her feet and has little to lose. There a touch of romance and a dash of international intrigue. There's an ocean voyage and an expedition into the wilds of Africa. There is even a hint of one of her most famous plot twists. Colonel Race, who according to my handy Christie reference book (of course I have a handy Christie reference book) goes on to appear in Cards on the Table, Death on the Nile and Sparkling Cyanide. I gave this 4 Stars. 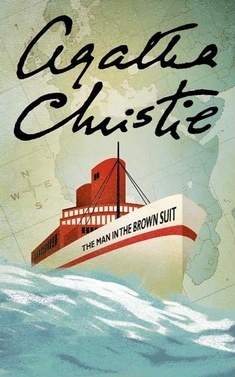 If you've never read an Christie before any of these 3 would be great books to start with. They're good mysteries with lots of adventure and likable characters. 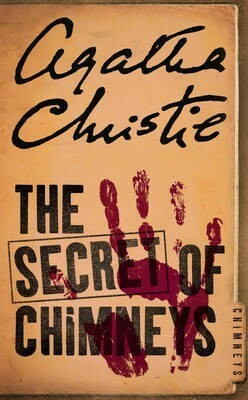 Luckily for me, the BBC production of The Secret of Chimneys came on PBS right after I finished the book. There is pretty much nothing in the movie that resembles the book except for some of the character names. The good thing is while the story was completely different they didn't completely screw up a character like they did in By the Pricking of My Thumbs when Tuppence was turned into a drunk that no one listened too. Description: This is the story of Abigail Adams and her relationship with her 2 sisters. Their relationship is explored in historical context through letters, narrative and documents of the time period. It is also wonderfully illustrated with photographs or paintings of everything from the houses and people that factor in the girls' lives to the carriage they would've used. My Impression: Abigail is definitely not an unknown wife of history. Her role as John Adams' wife, friend and confidant has been clearly shown in a number of books and the mini-series HBO did a few years ago (LOVE - find it and watch it. The casting alone is amazing). I knew she was strong, intelligent and well-read but that was about it but really even that is shown not as Abigail herself but as Mrs. John Adams. I know very little about Abigail herself, her family or her upbringing. That is until I read this book. Jacobs does a fantastic job presenting the information in a clear and informative manner without getting too bogged down in irrelevant detail. It's really a fascinating look at not only the life of an early influential American woman but also just how women were brought up in America during the 18th century. 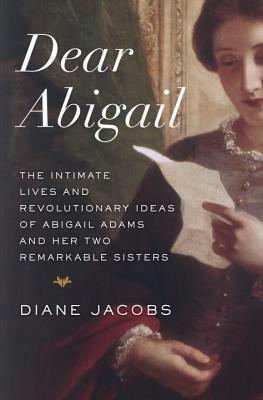 The relationships of Abigail's sisters and their families were explored which not only allowed me to get to know 2 women who I had never even really known existed but also helped flesh Abigail out a little more. Would I Recommend this Book? 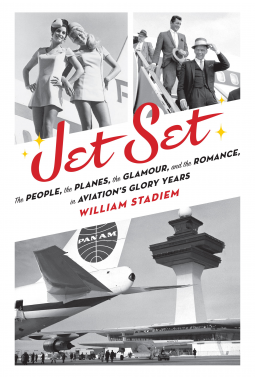 : Definitely - I already know a few people who may be seeing this book as a birthday or Christmas gift! Letters or diaries from the past? A genealogy mystery? You found an old skeleton you need to identify? Someone is looking to find out what happened to a long lost grandmother/aunt/uncle whatever? I'm in! This is kind of the umbrella of #1 but if it's someone restoring an old house that jumps to the top of the TBR. I love Jenny Bentley and Shelia Connolly's Orchard series because of this. This one also relates to #1 but I love the details of vintage clothes. 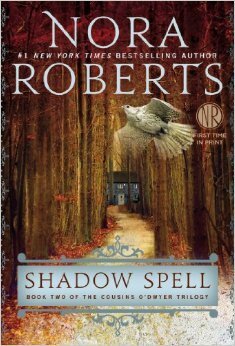 Annette Blair's Vintage Magic series is great and Shattered Silk by Barbara Michaels is one of my favorite books. Also, relates to #1 but this is the last one! Whether it's a gothic type ghost in a rambling manor house, a helpful ghost who follows people around or an evil ghost that causes problems if the summary includes the word ghost I will be reading it. I will actually keep reading a series (aka Victoria Laurie's Ghost Hunter series) long after I would've given up on another series because it involves ghosts. 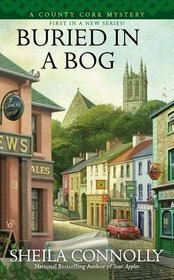 The entire reason I started reading Nora Roberts ages and ages ago was because of her Gallagher series that takes place in Ireland. Mysteries that take place in Ireland also jump to the top of the list. This is mostly for romance novels. One of my favorite plot devices is a friendship that turns into a relationship. It's just so much more believable for the happier ever after. Another setting that I will put up with just a lot to stay within the time period. I read 2 books of Jacqueline Winspear's Maisie Dobbs series past the time I was bored with it strictly because it was set in this time period. Once I saw that Kerry Greenwood's Phyrnne Fisher was set in the 20s that was all I needed to know. Oh you have a primary character that works in a library or a museum? Sign me up! Luckily I enjoy Sheila Connolly's museum series and Jenn McKinlay's library series but I'd probably keep reading them even if I didn't. Books about books? A series that talks a lot about books? Can't pass it up! This applies to both fiction and nonfiction. The Man Who Loved Books Too Much Allison Hoover Bartlett about the hunt for a book thief was one of my favorite books of last year. I also read Kate Carlisle's book binder series and Lorna Barrett's Booktown series regardless of how much they annoy me (which is pretty frequent, especially with the latter). This is another one that applies to fiction and nonfiction. I either have owned, currently own or want to own just about every food memoir I'm aware of. I have an entire shelf devoted to books like The Sharper Your Knife the Less You Cry by Kathleen Flinn, The Soul of a Chef by Michael Ruhlman and Consuming Passions by Michael Lee West. Let's not even get into cookbooks. 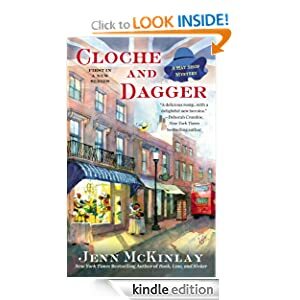 Then there's the fiction books - Jenn McKinlay's Cupcake Bakery series, Paige Shelton's Farmer's Market and Cooking School books, and any book that has a chef or pastry chef as a primary character. Can't resist! Description: This is the collection of 6 short stories by Daphne du Maurier. The Birds is the story that Hitchcock based one of his most famous movies after. Monte Verita is the story of 2 men and a woman, a love of mountains and the search for peace. The Apple Tree tells the tale of a man dealing with the death of a not so beloved wife. In the Little Photographer we meet a bored married aristocrat looking for a little excitement away from her husband. Kiss Me Again Stranger shows us that things are not always what they seem when a young man meets an usherette at a theater. The Old Man tells the tale of a family when someone refuses to leave. My Impression: I've read Rebecca probably 10 times but I've never searched out any of du Maurier's other works until now. There are definitely creepy aspects of Rebecca (Mrs. Danvers in Rebecca's old room anyone?) but in these stories du Maurier takes creepy to a whole new level. I've been scared by a book but I don't think I've ever felt the slow deliberate build up of dread that she manages to achieve in each story. The atmosphere is beautifully if drearily drawn and the sense of foreboding increases to almost claustrophobic levels. My favorite story was probably "The Birds" with "The Apple Tree" a close second. I've seen bits and pieces of the Hitchcock movie and always thought the concept seemed a little silly. I mean, how can birds be scary? Never again. In fact I'm thinking about getting rid of all the bird feeders around my house just in case! Would I Recommend this Book? : Yes, in fact I've already recommended to just about anyone who will listen. I seem to have caught some kind of cold or something. I don't get sick very often which is always something I'm very grateful for when I actually get sick because this is really annoying. So I'm dragging myself away from listlessly watching episode after episode of Cupcake Wars to show you what books I managed to pick up this week! Most of these authors are completely new to me with the exception of Daphne du Maurier, Cara Elliott and Kerry Greenwood. I finished the du Maurier book today and will have the review up tomorrow. I've always loved Rebecca but she takes things to a whole other level of creepy with these stories. Rita Mae Brown is one of those names I've seen around the cozy genre for ages but never got around to reading so I'm looking forward to giving her a try. Actually I'm really excited about all of these! 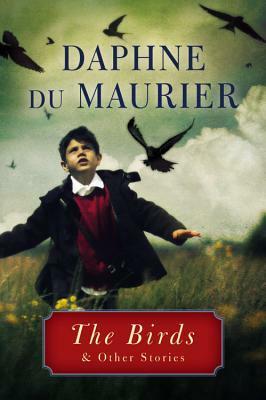 So I had this great plan to finish Daphne du Maurier's The Birds last night and get the review up today but that didn't quite happen. We watched America's Worst Cooks (love that show!) instead. So instead I'm borrowing a fun meme that Trish at Love, Laughter and a Touch of Insanity and Lisa at Lit and Life have done recently. They both kindly invited readers to play along so here goes! And that's all I can come up with for this list. I'm not the best at keeping up with upcoming releases! Didn't love this one but it'd be okay if you need a quick read to fill some time. Read it in a day for book club and it sounded like most people had the same opinion. The 2nd in the 1920s Stand Alones. This is one of my favorites. Hopefully I'll have the review up for all 3 on Monday. Loved this one! A nice cozy read. Almost done with this one. The last of the 3 from the 1920s though I'm still a bit behind on the Agathas if I'm going to finish by the end of the year. This is all kinds of creepy. 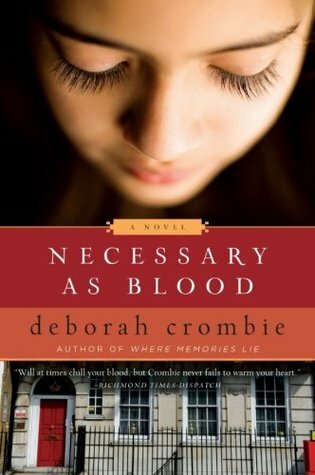 How did I miss that the author Rebecca wrote the story that inspired the Hitchcock movie? Hopefully I'll have the review up tomorrow. The Tornado has become obsessed with Star Wars and I'm not allowed to read while he watches it. It hurst his feelings if I'm not involved so I've got my Star Wars trivia down right now. We saw The Lego Movie last weekend too and he loved it. I didn't expect him to sit through the whole thing but he did great. J and I really liked it too even if we did identify with the bad guy a bit too much! 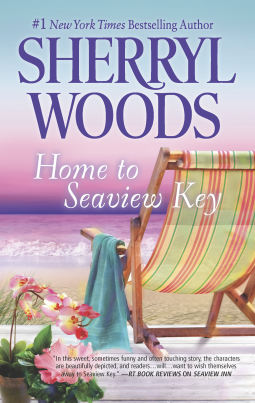 Description: After her divorce Abby Miller just wants to go home to Seaview Key and stay under the radar for a little bit before trying to become part of her hometown community again. When handsome paramedic Seth Landry rescues her from a near drowning the staying under the radar idea quickly disappears. 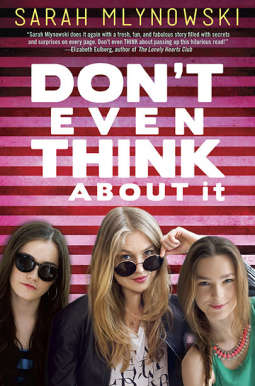 Soon Abby is trying to rebuild her relationship with former best friend Hannah which is made a little trickier because Hannah is married to Abby's ex-boyfriend as well as become part of Seaview Key again. On top of everything she has to figure out what this growing attraction to Seth means. My Impression: For some reason I was really prepared not to like this book but the best thing about something like that is the fantastic surprise when you find a book you really enjoy. I loved this book. I loved the characters, I loved the setting, I loved the plot and just found it a thoroughly enjoyable read. The characters weren't always perfect and frequently Hannah, Jenny or Kelsey did something that annoyed me but their actions were always understandable. I always understood why they would've acted the way they did even if I didn't agree with it. I loved Abby. I love how practical and smart she is, I love how honest she is and I love how she handles adversity. This is a good book in a beautiful setting with fantastic characters that seemed like real people and people you'd actually want to get coffee with. 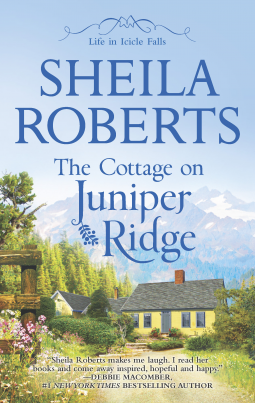 I'm classifying this as fiction rather than a romance because I felt that while Seth and Abby's relationship was very important the book really revolved around Abby finding her home again. I'm very excited to participate in the Once in a Lifetime Blog Tour. This is one of my favorite contemporary romance series that just keeps getting better! This was actually the first book I read this year and you can find my review here. It was dark outside when she got back to the Book & Bean, and she stopped short just outside the door. She’d locked up when she left and turned off the lights. The low, slightly rough voice wasn’t what had her heart pumping. That honor went to the fact that there was a man on a ladder in the back of her store. He was in jeans with a tool belt slung low on his hips, his t-shirt clinging to him. He seemed a little irritated, a little sweaty, and just looking at him Aubrey got a whole lot hot and bothered in places that had no business being hot and bothered by this man at all. “What are you doing in here?” she asked. “Sorry, Sunshine.” He wasn’t even looking at her, but using some sort of long, claw-like tool to pull down a ceiling tile above the wall she’d been working on. And his tool worked way better than hers. This caught her completely off guard, both the insult and the information. “My uncle owns this building,” she said. 4. I can’t spell to save my life. 5. And I hardly ever really use real life people in my books. Enter the Raffle below for a change to win the entire Lucky Harbor series or 1 of 5 copies of Once in a Lifetime! I'm linking up with The Broke and the Bookish for their Top Ten Tuesday. Today's list is Top Ten Reasons I love being a Reader/Book Blogger. 1. I love being a book blogger because - of being able to talk to other people who read like I do! I'm in a book club and it's always fun to talk about books but I don't come across many people in real life who always have a book or who set goals and projects related to books. It's fun to connect with people who do! Years ago I had a real life friend (aka Lisa @ Books, Lists, Life) who did read like me but then she had the audacity to move away (something about love and going to live with her husband, blah blah blah) and I've missed that ever since. 2. I love being a book blogger because of - the Accountability. I'm pretty type A and there's nothing I love more than lists, spreadsheets and goals. Blogging allows me to keep track of those goals and holds me accountable because it's out there. There's no wiggle room, there's no reinterpreting. I've also come across some really fun challenges to give me a little more focus. 3. I love being a book blogger because of - the variety of books it introduces me too. I've read more different genres in the 2 months of this year than I did in all of 2013 combined. Between recommendations from other bloggers, e-ARCs that intrigue me and just trying to have a little variety in my reviews I've had lots more variety than I normally have and have been having a lot of fun with it. 4. I love being a book blogger because - it makes me think about the book I've just read. 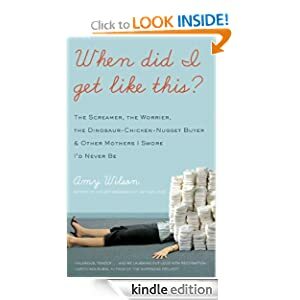 Instead of just finishing a book and thinking oh I liked it or oh I didn't like it blogging makes me think of the Why. 5. I love being a book blogger because - I feel like I'm a little tiny part of the community that I love so much. I've gotten emails from a few authors and publishers and I've completely fangirl-ed. Not my most dignified moment but so exciting. 6. I love being a reader because - I've never been bored. How can you be bored when you have hundreds of books to read. I've always had a book in my purse though now it's switched to the Kindle. I never mind reading because it gives me a chance to read! 7. I love being a reader because - I know all kinds of random bits of knowledge. There's always something to learn no matter what genre you're reading. 8. I love being a reader because - It's a great escape. No matter what's going on around me I can pick up a book and be in 1920's England, or a professional chef's kitchen, or any other place I choose. 9. I love being a reader because - It's given me something to pass on to my kids. Emma reads at a crazy rate and it's so fun to share something. I love that the Tornado likes to take a book with him in the car so he can look at pictures of trucks or Star Wars or whatever book he's grabbed. 10. I love being a reader because - I don't know any other way to be. I can't imagine not having a book going. I can't think of a time that I haven't had that except maybe during finals in college. It's just not something I can wrap my mind around! 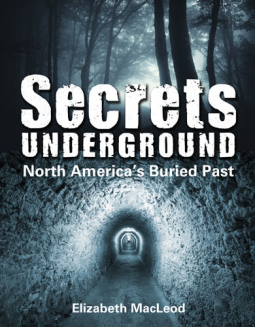 Description: This is a detailed look at North American history through what's left buried underground. From shipwrecks in San Francisco to Prohibition era tunnels in Saskatchewan this book covers both the well known and unknown stories as to what lies beneath our feet. There is an in-depth look at the history that surrounds each item and discusses similar stories all through North America. My Impression: Wow, this book is detailed! There are sidebars and captions and sidebars to the sidebar. Everything is well photographed and the author does a fantastic job of putting history in context. This is not a book you pick up and breeze through. This is one you study and discuss, look through again and then do extra research on something you read about. The would be wonderful for a child in middle to late elementary school as well as anyone else who is interested in history. I definitely look forward to reading it again in an actual hard copy as my main flaw with it was I didn't think it translated well to e-book format. Would I Recommend this Book? : Yes. I'm actually planning on buying a paper copy. I think it will be a lot of fun for any of us to page through. Description: Allie Zent is newly engaged to her ambitious, good looking and good in bed boyfriend Brad. There are only a few hiccups in her happiness - her friends can't stand him, his mother is taking over and she's met a new very intriguing guy named Jax. My Impression: This book got 3 stars because it was an entertaining lightweight read. I read it in basically 1 sitting without getting bored with it but other than that I'm pretty apathetic about it. Allie is likable even though she's almost painfully naive and the most indecisive character I've come across in awhile. Brad is a jerk and a total momma's boy. Sylvia is awful. Michael is to be honest kind of annoying. Jax is interesting and romantic. That's about all the character development there is with the exception of Allie's mother, Barbara, who changes a little bit from her basic stock character of hippy activist. There's nothing particularly memorable about this book. I finished it last night and am already struggling to remember parts of it. I read it after watching HBO's True Detective so Jax kind of looks like Matthew McConaughey and I watched The Bachelor (no judging!) yesterday morning so Allie looks like Kat and Brad looks like Juan Pab whatever. That's my most immediate thought about the book if that gives you any idea of the substance or lack there of. The ending was cute. I wish everyone well but do I really care? Not really. Would I Read More of this Series/Author? : No not without glowing recommendations from a reader I trust. Would I Recommend this Book? : If this is in one of those take a book bookshelves in a hotel or condo than sure. If it's free or really cheap right before a car trip or plane ride than it's not a bad way to spend a few hours. Otherwise, no not worth searching out. Iced Chiffon by Duffy Brown - I love books involving clothes and this mystery about a woman who runs a consignment store looks intriguing. Heirs and Graces: A Royal Spyness Mystery by Rhys Bowen - This mystery series takes place in the UK in the 1920s and features Lady Georgianna Rannoch who is 35th in line for the throne and also broke. So far it's been a pretty entertaining series and Georgianna is a great heroine. In Love with a Wicked Man by Liz Carlyle - this is one of my favorite romance authors that I regularly forget about and then am annoyed with myself to see that has about 10 new books I've missed. 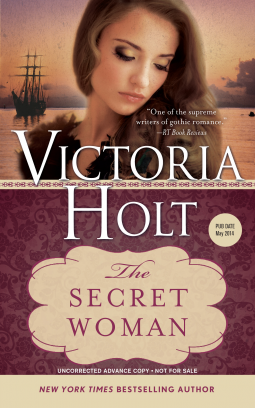 The Secret Woman by Victoria Holt - I read a bunch of Victoria Holt in high school but haven't since then. Total guilty pleasure but always a fun read. I was excited when I saw this show up on Netgalley. Looking forward to seeing how this compares to my memory of Holt's books. I don't know what happened. One minute I was looking up an author and then I came to about 10 minutes later feeling somewhat guilty and discovered I had ordered 3 more books! Four Winds Farm and The Cuckoo Clock by Mrs. Mary Louise Molesworth. These were two books mentioned in Agatha Christie's Postern of Fate. I'd never heard of them but Tuppence mentioned they were some of her favorites which makes me wonder if they were Agatha's too. They're free for Kindle right now and I love how she was actually listed as Mrs. Molesworth. At the Back of the North Wind by George MacDonald - I looked this up for my Books I Haven't Read But Should list and was very pleased to see that it was also free. That's it! Now just to get them read! I came across this pin the other day while wasting time on Pinterest. I just have one question - Who has enough bookshelves they can have one look like this??? I mean it's gorgeous but how can you have enough bookshelves to only have 12 books spread across 3 shelves? My primary goal is to have my bookshelves empty enough that they don't collapse in on themselves and they're not so jammed I can actually take books off the shelf without breaking a fingernail trying to unwedge it. I'm in no way disparaging the styling and only wish my shelves could look this put together. Overstuffed shelves with books laying on top of the standing books doesn't look nearly as photogenic. But isn't her use of different blues and creams pretty? Between the snow and the Olympics I didn't get much reading done this week! This was a new author for me and I enjoyed it pretty well. I liked how she developed characters and the series has lots of potential. Not as much of a community feel as I've found in Mariah Stewart's Chesapeake Diaries, Susan Mallery's Fool's Gold or Jill Shalvis' Lucky Harbor. It definitely walks the line between Romance and Women's Fiction. And that's it. It makes me sad. 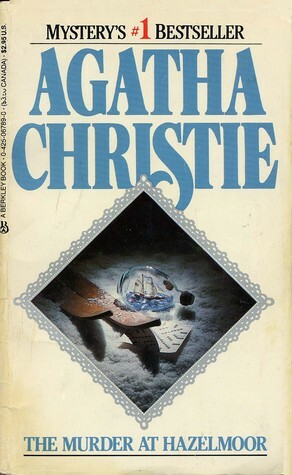 The Secret of Chimney's by Agatha Christie - I'm almost done with this one which is good because I need to pick up the pace on the Agathas or I'm never going to finish. Home to Seaview Key by Sherryl Woods - about 10% in and so far so good. This is another one that is light romance/women's fiction. It's about somewhat older people which is a little different to me as most contemporary romance features people my age (early 30s) or younger. These characters are in their 40s or 50s. 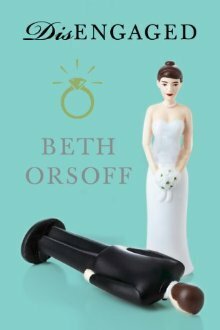 Disengaged by Beth Orsoff - Just started this one. It's for book club and looks to be a lightweight fun read. 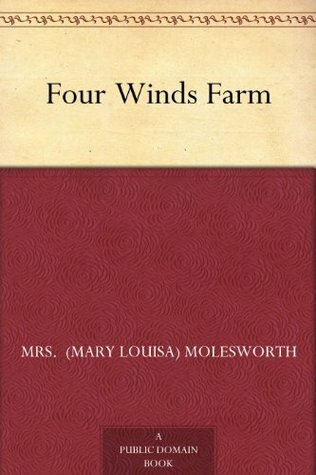 Four Winds Farm by Mrs. (Mary Louisa) Molesworth - this is a children's story that was mentioned in an Agatha Christie book. 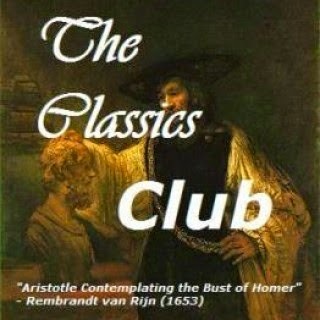 It was published in the late 19th century and so far has been interesting. Definitely has a bit of a fairy tale feel to it. With school being closed for 3 days and everybody's schedule being off I've been distracted by pretty much everything. We've been watching some of the Olympics and staying up too late which cuts into my night time reading. Also, I'm just tired. All this grey and rain and cold is making me sleepy! Description: Samantha Bennett is a treasure hunter in a family of adventurers. When she discovers a painting and a manuscript among her late grandfather's things that tie the pirate she is researching to the little town of Knights Bridge, Massachusetts. Her plan is to find the cider mill in the painting, try and locate the pirate's treasure and put some of her past demons behind her. Justin Sloan was somewhat annoyed when he discovered a woman passed out in his burning cider mill and suspicious when he discovered the woman's name. Is Samantha here for the reasons she says she is or is she hiding something. 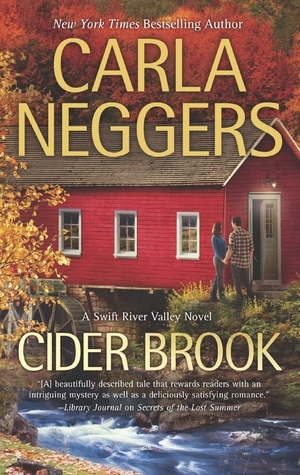 My Impression: This is my first book by Carla Neggers and the 3rd in the series. I was a little worried starting a series in the middle but I think this book was strong enough that the series doesn't need to be read in order. Characters from previous books were a part of the story but weren't instrumental to the development. I thought the historical element was very interesting and wound nicely through the story. The setting was well drawn and filled with likable if not perfect people. I loved that many of the characters weren't perfect. They made decisions or reacted sometimes based on emotion and later regretted it. There was the potential to be a big secret which is one of my least favorite plot devices but it was handled well. My opinion of Samantha and another female character named Loretta changed through out the book as they grew emotionally and I was very impressed by that. Very rarely do I find characters that are flawed but still likable and understandable. The story wrapped up a little too quickly and there were some coincidences on top of coincidences. Justin was definitely the strong silent type ant that could read as cold but I think there was enough depth of character shown that it countered that. I'm definitely looking forward to reading more of this series and Neggers' other books. Let me start with the facts that I'm not vegan or even vegetarian. Nor do I have any desire to become either. What I am interested in is new and interesting ways to prepare and serve vegetables so that my family will actually eat them and dishes that will allow us to have more meatless meals without feeling like we're being deprived. I've been interested in looking at Vegan cookbooks but have always been somewhat intimidated by them. 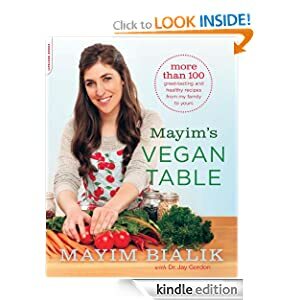 When I saw Mayim's Vegan Table I couldn't pass it up. It's impossible to be intimidated by Blossom or Amy. I had also read a few articles in the past and really liked how she presented her point of view. She keeps to a "This is what works for us" versus a "This is what you need to do and if you don't you're wrong" that seems to show up so often. So with all that in mind I couldn't wait to see what I would find! The first 4 chapters discuss the ins and outs of a vegan lifestyle. The health benefits are explored as well as things like What do you eat? There is a chapter for substitutions and tips for removing animal based foods from the diet. There is also a look into what the authors keep on hand as well as the usual dirty dozen list. There are tons of recipes for regular life which I love. They're broken up by type of food and most have a little paragraph discussing how the recipe came to be. There's a variety of dishes from standards like Potato Hash or Creamy Enchilada Casseroles to more exotic dishes like Tzimmes or Vietnamese Banh Mi with Do Cha and Sweet Sauce. The Butternut Squash soup and Hot Pretzel Challah bread stood out just because they look absolutely amazing.. I loved that a number of recipes are vegan just because they happen to be vegan not because they have to be altered to fit into a vegan diet. Also the majority of ingredients would be easy to find in a standard grocery store so this wouldn't require multiple trips to hunt down some special ingredients. The recipes are easy to follow and wouldn't take hours of prep. 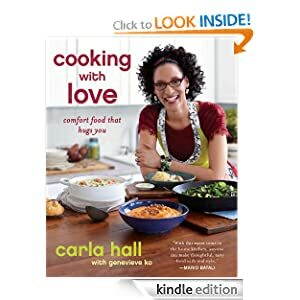 This would be a great book for vegetarians too because with a few little tweaks (regular mayo vs. vegan for example) you've got some great options that don't contain meat. Verdict: Interesting cookbook with a wide selection of recipes. 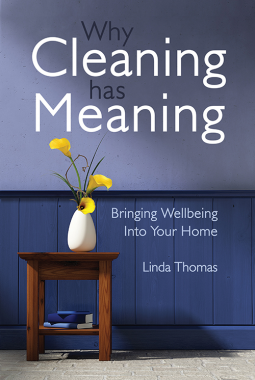 Would be a great book for a new vegan, vegetarian or someone (me!) looking to add more interesting vegetable dishes to the regular rotation. 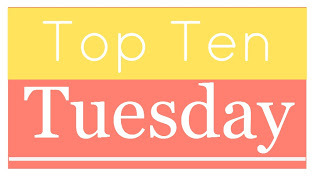 Today's Top Ten Tuesday hosted by The Broke and The Bookish is Books That Make Me Swoon. So in no order than how I remembered them here is my top ten! 1. Anne of the Island by L.M. Montgomery - Yes, I know, another Montgomery book! Gilbert is the most swoonable character ever in fictional history. He is smart, funny, logical with just the right amount of sentimental and he so genuinely loves Anne. The end of this book alone is just one big swoon. 2. What Happens in London - Julia Quinn - I probably laughed more reading this book than any other that I can think of. Harry and Olivia are great but Sebastian... Unfortunately he wasn't as great in his own book but in this one he was amazing. 3. When the Rogue Returns by Sabrina Jeffries - Top 5 best endings ever. There's adventure, strong characters and a proper villain. Totally swoon worthy. 4. House of Many Shadows by Barbara Michaels - the Gothic-ness, the ghosts, the history, the romance, the mystery. I want to be Meg when I read this book. 5. Christmas Eve at Friday Harbor by Lisa Kleypas - the romance between Mark and Maggie is wonderful but the true swooniness is watching the Nolan brothers start to thaw. 6. The Forgotten Garden by Kate Morton - the cover alone is swoon worthy on this but the atmosphere throughout this entire novel really got me. 7. The Man Who Loved Books Too Much: The True Story of a Thief, a Detective, and a World of Literary Obsession by Alison Hoover Bartlett - I know this is kind of an odd choice but this was a fun book and then all the talk of bookstores and collections stuffed with gorgeous first editions - definitely swoonworthy. 8. Devil in Winter by Lisa Kleypas - I'm not a lover of bad buys but St. Vincent is so spectacularly wonderful in this one and so in love with Evie it's hard not to swoon. It doesn't hurt that I loved Evie as well and it was great fun watching her learn to stand up for herself. 9. The Case of William Smith by Patricia Wentworth - A mystery generally isn't swoonworthy but when it's full of fantastic characters, 2 great detectives and just the right touch of romance it's hard to resist. 10. And Then He Kissed Her by Laura Lee Guhrke - One of my favorite romances ever. The end - if you don't swoon over the ending I really don't know what to say. I had a good time thinking up this list and now I have a serious urge to go find all these books for a big rereading session! This past weekend didn't lend to much reading between baby showers (not for me), dog shows (as a spectator), binge watching The Office (LOVED the ending!) and just feeling a rundown. So instead of a review I'm making a list because I love lists almost as much as I love reading. Today's list is the books I know I should read but for whatever reason haven't. I'm linking up with the Literary Love Linkup because this incorporates one of my most loved genres - Children's books - with one of my most loved things to do - make lists about books! I think I have a copy of this on my Kindle but I've never read it. 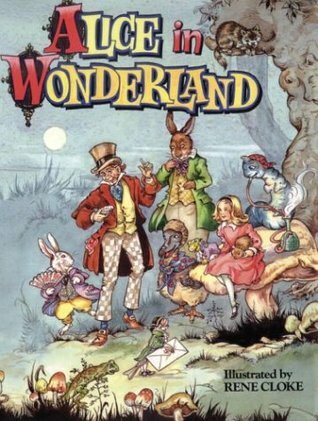 In fact other than the movies my only exposure to this was in 4th grade when we deconstructed the "Jabberwoky" poem and replaced the nonsense words with real words. Way to take the fun out of it now that I think about it. 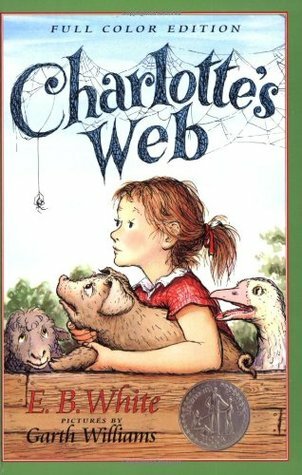 This was my grandmother's favorite book when she was a child and she actually got me a copy but for no other reason than basic contrariness I refused to read it. I actually just got it on Kindle when I looked it up a few minutes ago so at some point I will be fixing that. Before the Tornado was born I used to substitute teach a bit and any time I was in 1st grade I always ended up reading bits of this out loud but that's as far as I got. I've always avoided this and the movie because I know the ending. 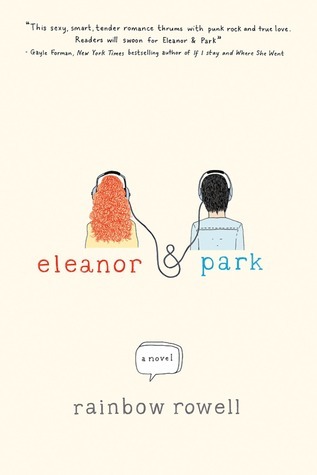 I loved both movies but have never read the book even with Emma and Eleanor were reading Dahl by the truckload. 5. & 6.I have never read anything by John Green or Sarah Dessen. A fact I know that would make many people gasp in disbelief. I have seen this book on pretty much every best of or favorites book list of 2013. I'm sure there's more that for whatever reason have slipped through the cracks. This is only the children's/YA edition so who knows what I'd find if I started looking at categories like "Classics". I'm sure there's giant holes in my reading. There'll be another list tomorrow but that's part of a linkup so not nearly the same thing! Sunday Showcase - What I Got This Week! Showcase Sunday is a Linkup hosted by Books, Biscuits and Tea. This week I was heavier again on the e-books than the regular books. I saw at least 4 books at the library that I really wanted but I'm not sure if I'm going to get all the books I have now read so I'm trying to resist! I had two real books show up this week from Paperbackswap and one cookbook from amazon. I love her library series and enjoyed the one cupcake series book that I've read so I'm looking forward to reading this one. Plus this will fit into the cozy mystery challenge I'm signed up for. I've had this on my wishlist so long I'd kind of forgotten about it but I'm hoping it turns out to be funny. I have mixed results with these books. Sometimes I find them really funny other times it's like "Yes I get it you have to have wine to get through the day." I got this from the library a few weeks ago and loved it so much I ended up buying it. Great cookbook for a little different twist on standard dinner food. Her Basil Bacon Bread is amazing. These all came from Netgalley. I really haven't requested anything new in over a week but I all of a sudden got a ton of approvals! New author to me and to be honest I requested it because the cover appealed to me. 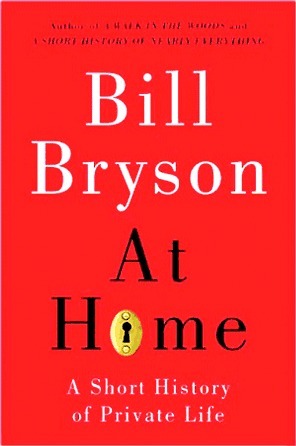 I'm reading it right now and while I"m enjoying it so far I'm not sure if it's going to stay good. I keep seeing signs it could go either way. Another new to me author and another book I picked because the cover appealed to me. I've been cold for months and can't remember the last time I saw the sun. How am I supposed to resist the beach?? I'm excited about this one. 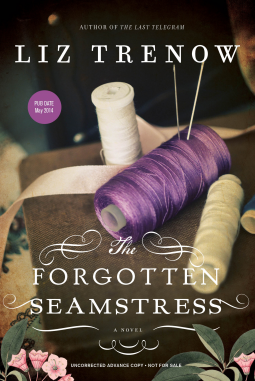 It involves a modern day woman trying to learn about the woman who made her quilt at the turn of the century. Just couldn't resist. This was an invite and I can never turn those down plus it looks pretty fun. I've read a few of her mysteries and like them and I haven't read many romances that are set during the 1920s. This one sounds unusual and interesting. Not just the standard romantic plot. Another new to me author. Read the first one of this series and enjoyed it. 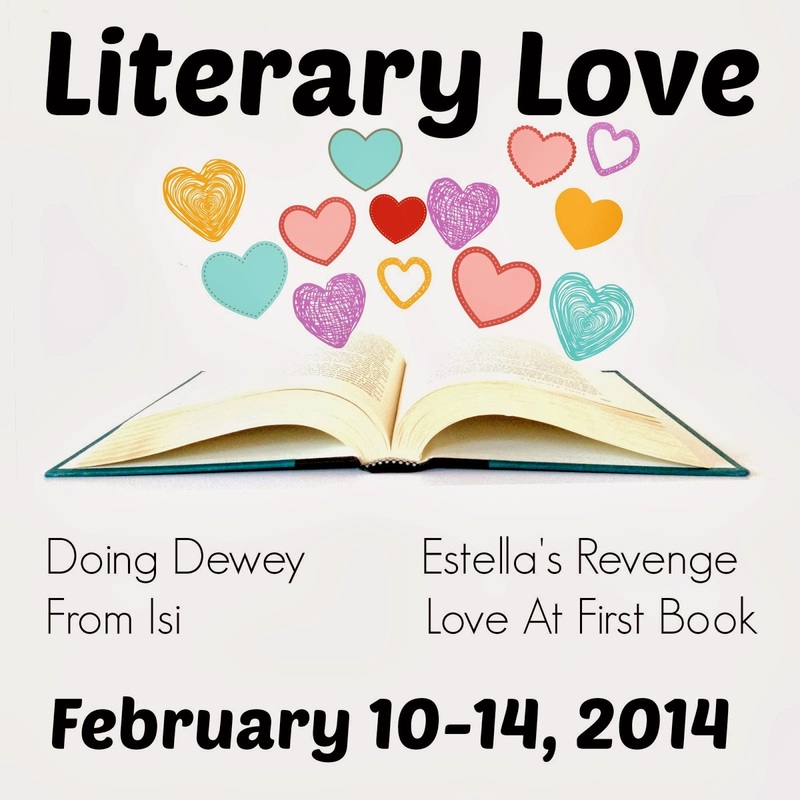 Take Control of Your TBR March 2014 Challenge!